Parents, please complete Data Confirmation online @ portal.pylusd.org before registration! 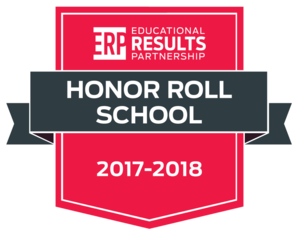 After an extensive analysis of student data for every public school in California, Valencia High was a clear leader in getting students to grade level and beyond and has been named an Honor Roll school for the 2017-2018 California Honor Roll. Yogurtland and VHS PTSA partner up for a fun fundraiser! Come out to Yogurtland in Yorba Linda for dessert today! See the essential information regarding our Prom at Hangar 21 at the Fullerton Municipal Airport. Items on this list will be confiscated at the door, and Valencia High School will not assume responsibility for them should they be lost. Any prescription medication will be flagged by security. It will be up to the school’s administration to determine whether the student will hold onto the medication or if an administrator will hold onto it. Note: All prescription medication needs to come in the original bottle, with the prescription label, with the students name on it. Please also note that limousines and party buses will be subject to search as well. Attention Parents and Students: Tiger University will be holding a workshop on NCAA and NAIA eligibility on Monday, April 23rd at 7:30am in the College and Career Center. If students are interested in continuing their athletic career while in college, this workshop is perfect as it will go over what courses and steps students have to complete in high school in order to be able to play sports in college. Join us Monday to learn more and ask questions. Fall ROP (Off-Site) Class Registration Now Open! ROP Off-Site (Regional Courses) registration is now open! Pls see your counselor or Mrs. Douglas for more questions. To apply, simply review the class offerings/Catalog for the 2018-19 year and download the application; fill out completely and return to us by May 31st or sooner! These classes are considered "Fall" term and are offered Off-Site (you need your own transportation) and students earn credit and are working toward a CTE Pathway! Please support Valencia High School ASB by shopping at the O'Neill Store located at the Anaheim Garden Walk during spring break from April 2nd-April 8th. Mention Valencia at the register and receive 40% off of O'Neill branded clothes and accessories. A 10% discount will apply to all other brands. This is a great opportunity because Valencia will receive 20% of the proceeds from your purchase. Click here for more details. <b>Catch the stream here.</b> Regardless of personal politics, Valencia High School students are encouraged to be open-minded, critical thinkers – events like TEDx with the theme of “Empowerment” truly opens the door to such a wide variety of talks – talks that will be infused with the personal perceptions that our students bring to the concept. Attention Parents and Students: Tiger University will be holding a workshop on College Placements tests and exemptions on Monday, March 26th at 7:30am in the College and Career Center. Come to learn more about entrance requirements for community colleges and 4 year universities. Seniors, do not miss out on great local scholarship opportunities! Scholarship applications are available online or in the College and Career Center. Be sure to apply!